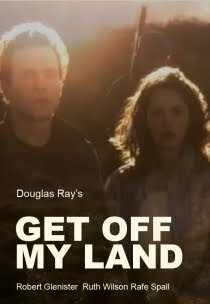 The download link text says it all! 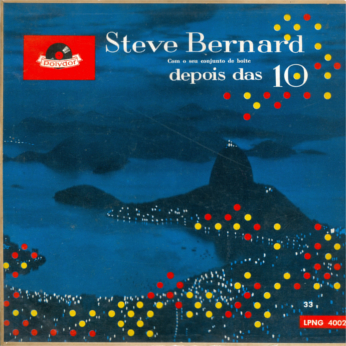 The second album sent by Sandra Bernhardt magically appeared in my in-box a short time ago: Depois das 10, Steve Bernard‘s fourth career album released by Polydor in 1957, which was waiting on my wish list to become red. Some time ago I was contacted by Steve Bernard‘s daughter Sandra Bernhardt, who was pleased to find here the posts about her father and promised to send me the recordings I did not have. Also she was so kind to write a text about her father, clearing some misinformation about him which were also published at the usual hub for distorted facts: Parallel Realities. 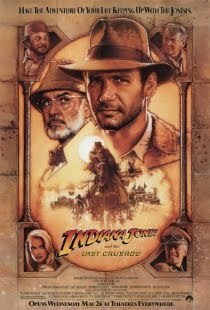 Steve Bernard was born in​ Brasov,​ Romenia (Roumania)​. 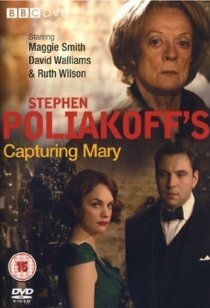 He was a Jew but before getting married to my mother, Eva, he converted to Christianity (Catholic). They got married on Dec, 19, 1954 in a Catholic church named Nossa Senhora da Paz, in Ipanema, Rio de ​Janeiro​, Brazil​. Eva, was a very famous and gracious dancer, known as Eva Lanthos. She was born in Budapest, Hungary​​. 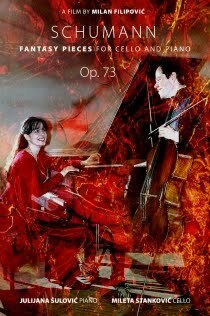 As far as I know​, he began to play classical music very early, in Brasov, Roumania (not in Vienna). 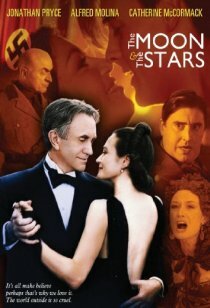 At the age of 18, he was awarded in several Competitions in Vienna, played piano in cinemas and with some singers like, Lilly Fayol, Gina Liano and Arthur Allam. A few years later he had his Band with presentations in Bucharest, Roumania. 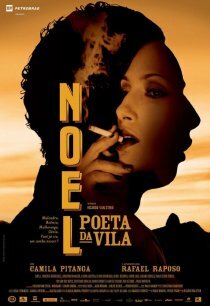 Paul Péri, was a famous French actor / singer. 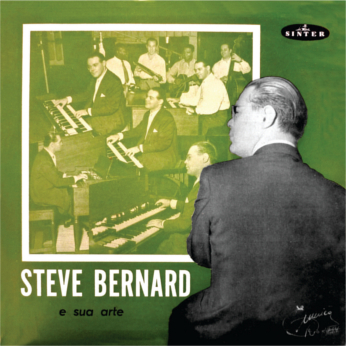 He invited Steve to play at the Golden Room, Copacabana Palace Hotel in Rio in 1952. Some days later Mauricio Lanthos and Waldir Calmon invited him to play the Hammond B3 Organ, recently bought, at Arpège (nobody knew how to manage the Organ, just Steve!) He needed to live in a tropical city in order to feel better from his constant pains (MD recommendation) and decided to live in Rio. The new package from Pedro & 300discos has just arrived and there should nobody be surprised that the first album to be posted out of it is another Steve Bernard from my Santa Claus list. Vocals are by Steve Bernard, Valéria and Joab. 1. Murmúrio features the elegant arrangement by Severino Filho as issued on Elis Regina’s debut album Viva a Brotolândia (1961, Continental LPP 3161). 2. 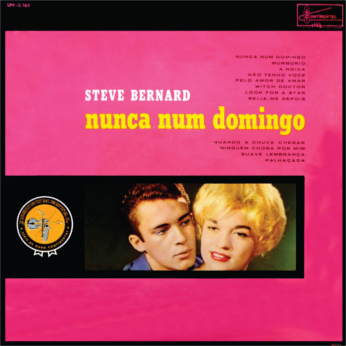 Não Tenho Você is identical with Ângela Maria’s version on the album of the same name (1961, Continental LPP 3179). 3. Quando a Chuva Chegar is identical with Ângela Maria’s version on the album Quando A Noite Vem – Ângela Maria, Uma Voz Para Milhões (1961, Continental LPP 3.144). You may compare these three version on my website here and here. 4. 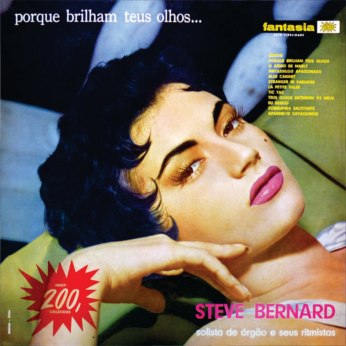 Ninguém Chora Por Mim is identical with Carlos José’s version on his 1960 album Carlos José Canta Para Você (1960, Continental LPP 3130). Thus, this album is one of those to feature arrangements from other artist’s recordings, at least partly as Dó-Ré-Mi-Fafá Lemos (1961) by Fafá Lemos, Show by Pernambuco, Segredo para Dois (1963) by Radamés Gnattali, or even completely like Sambas (1961) and Sambas Nº 2 (1963) by Don Júnior (Héctor Costita) as well as Na Cadência do Samba (1963) by Aurino and Jorginho. So thanks for this collector’s item. Maybe some other readers can help to identify even more songs. Contrary to the previously posted album by Steve Bernard, which was announced, this should be a surprise, as it is incredible to expect that another one of his, until recently on the net unpublished, LPs is brought to light. After the previous appetiser-post, the main course should not come as a surprise. 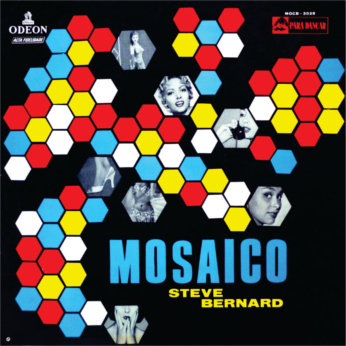 Steve Bernard‘s Mosaico from 1958 also recorded for Odeon. 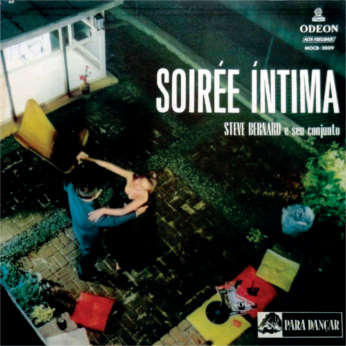 A compacto duplo by Steve Bernard, released for Odeon at a date unknown to me. What is known that these two medleys are not part of any of his career albums. A traveler through realities existing parallel to the one we consider as the only one, brought back a souvenir, a compacto promo sung by Valéria and Steve Bernard and sent it to me, unfortunately, without a cover, a problem easily solved by taking a short trip to another reality similar to the one he visited. 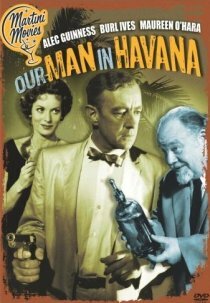 There the cover was found, but I must confess that it seems very familiar to me. So does the name of the traveller, Edson Mendes. 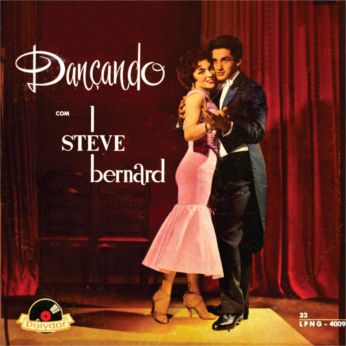 Incredible that Steve Bernard‘s career albums had (as far as I know) never been made available on net, untill recently Pedro & 300discos had the good idea to start sending them to us all. The newest package, just rolling in as I write, contains even two, both released in 1957. 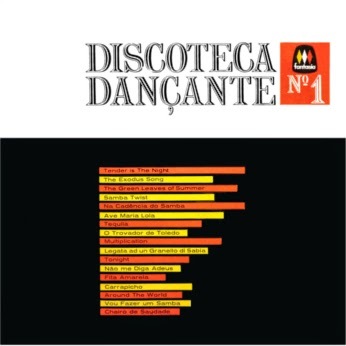 Here is the first one, quite self explaining by the front cover picture, additionaly stressed by the text Para Dançar, yet the back cover features a text by José Fernandes giving a review about the music in general and adds a few words about each track presented on this release. 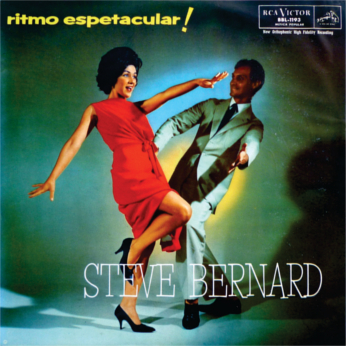 Steve Bernard‘s Ritmo Espetacular from ’62, after the shortest possible time that elapsed since I put it on my Santa Claus list, ready to be presented here as another courtesy of Pedro & 300discos. 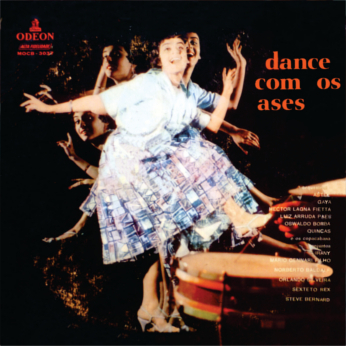 Here we have Steve again with vocal soloists Valéria and Joab Teixeira in a rhythmical para dançar opus, suitably visually described on the front cover. The back cover text written by Elmo Barros offers some additional facts about his career and life as well as a detail about Steve‘s nationality: Húngaro de nascimento e cosmopolita de espírito. 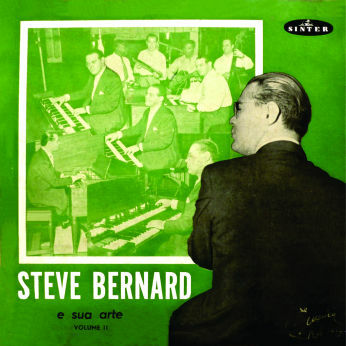 Steve Bernard was a Hungarian, who came to Brazil in the time of the Second World War. 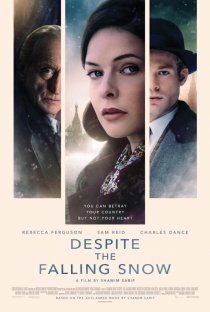 He was a Jew. Valeria was Brazilian. The two are dead. He was pianist and leader of the band. She was the regular singer. Marvelllous!!!! I”ve not this album.Yes, it was my first step in music. 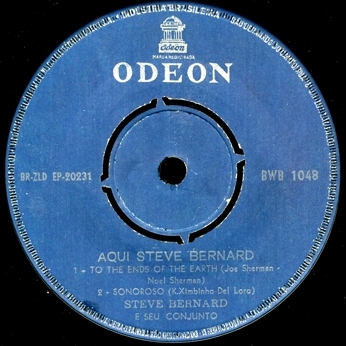 Although I planned to post this album by Steve Bernard as the first out of the arriving package sent to us by Pedro & 300discos, the transfer to my PC got interrupted several times on this particular file, so I am doing it now, as I have finally managed to finish it. P.S. The text on the back cover, signed with H. G. provides additional information about every song played. 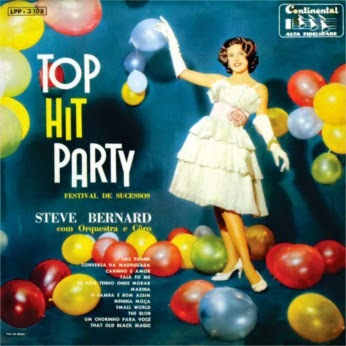 Steve Bernard has been presented in this reality on two compilation albums of the Discoteque Dancante series, but although he has recorded at least 12 career albums, this is his first career album presented here. A short text under one of these two compilations, written by our friend Frank-Oliver, reveals that Steve was born 1915 in Romania, lived in Vienna and finally emigrated to Brazil. It also raises a strong suspicion about his name, as, although the Romanian border is less than 100 km away from Belgrade, I have never met or heard about a Romanian with even a similar name. 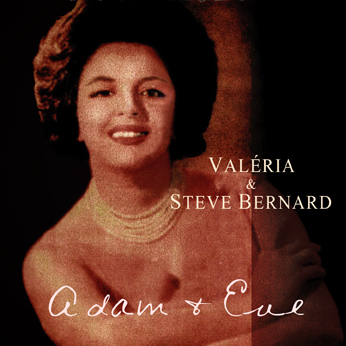 Frank-Oliver pointed out the fact that on Steve Bernard‘s album Ritmo Espetacular an interesting lady with the name of Valéria is singing, an information that also moved Steve‘s discography into the focus of my interest (incredible, but there it is). An additional enquiery shows that Valéria is singing on at least three of his albums, among them on this one presented today. She is interesting indeed, Frank! 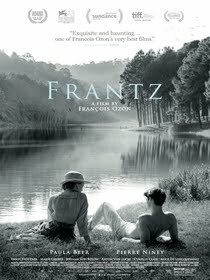 Besides Frank-Oliver‘s text, you may also read the linear notes on the back cover written by Silvio Tulio Cardoso. 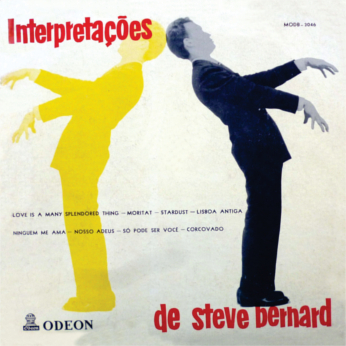 According to great Dicionario Cravo Albin da MPB real name of Steve Bernard is Stephen Bernhardt. 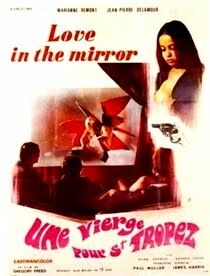 Is this Valéria also singer on great G/9 LP “Brazil Now!” with Dom Salvador and Wilson das Neves?